SWR created the Warlock II for maximum sound suppression in a lightweight aluminum package. The Warlock II has minimal first round pop for optimal discretion. 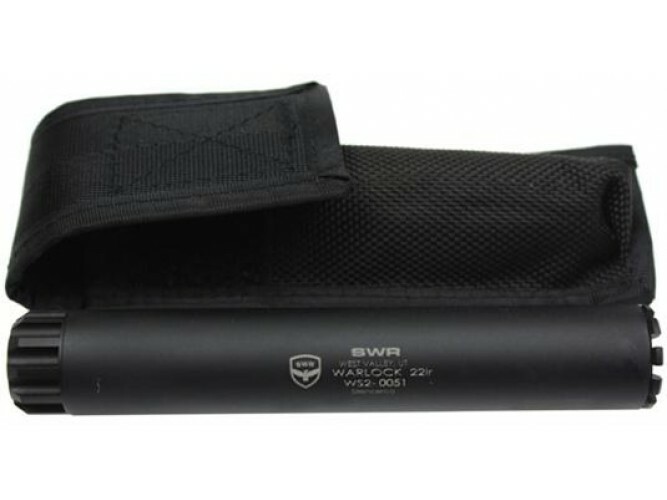 Be it a clandestine operation or plinking, this 22 silencer will ensure quiet success. .22 lr silencers on the market. The Warlock II has the unique CTA baffle design that keeps the carbon and lead debris from reaching the silencer tube allowing it to be disassembled easily.